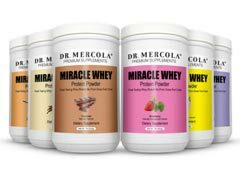 Cheap Protein Powder Online – Top 10 Retailers You Can Trust! If you are looking for cheap protein powder, buyer beware. The internet is full of scams and some supplements are made in places you would hardly want to buy socks from. So how do you know where to score quality products at the best prices? Start by reviewing our list of the best online retailers for discount protein powder. 1. VitaminWorld: Not only do they have an online store, they have brick and mortar locations where you can find expert advice and ask questions about that huge can of bsn syntha 6 you are planning on purchasing. Buying supplements from stores you can trust is important. 2. VitaminShoppe.com: Another well known source of supplements, vitaminshoppe.com is a great place to start your search for cheap protein powder. Remember that just because the product you want is available from a potentially questionable site, doesn’t mean you should buy it from there. 3. Nutritiondiscounters.com: Offering reasonable prices on the brand names you trust check out this site for products on sale now. 4. Prosource.net: Offering bodybuilding supplements as well as powders and protein shakes for weight loss, you are sure to find what you are looking for on this site. 5. ProteinFactory.com: Featuring changing sale items and a great selection of protein products, you are sure to find cheap protein powder at this powerhouse! 6. Supplementstogo.com: Alright, anything you buy online is technically “to go” but this discount house for supplements will let you find everything from the best protein powder for men to shakes and smoothies for the ladies. 7. OrbitNutrition.com: Sells the brands you love for the prices that you need. 8. Bodybuilding.com: Offers products at reasonable prices and forums for discussion and recommendations to help you make better decisions about the products you are buying from real users. 9. GNC.com: Just because GNC is a national chain doesn’t mean that it doesn’t offer discounts and coupons that will help you snag the products you want at the prices you love. Online convenience with standing store assurance, GNC will always be a favorite stop for supplements of all kinds. 10. Vitacost.com: Vitacost carries supplements of all kinds and offers great protein powders that are not only reasonably priced by popular and well reviewed products. Remember, you don’t have to go to bogus and dangerous websites to get good deals on your supplements. By doing price comparisons online and looking for sales and discounts, you can buy what you need from stores you can trust. Remember to talk to your doctor before beginning to use any supplement and to help you develop a diet and exercise plan that will help you achieve your weight loss goals safely and effectively.